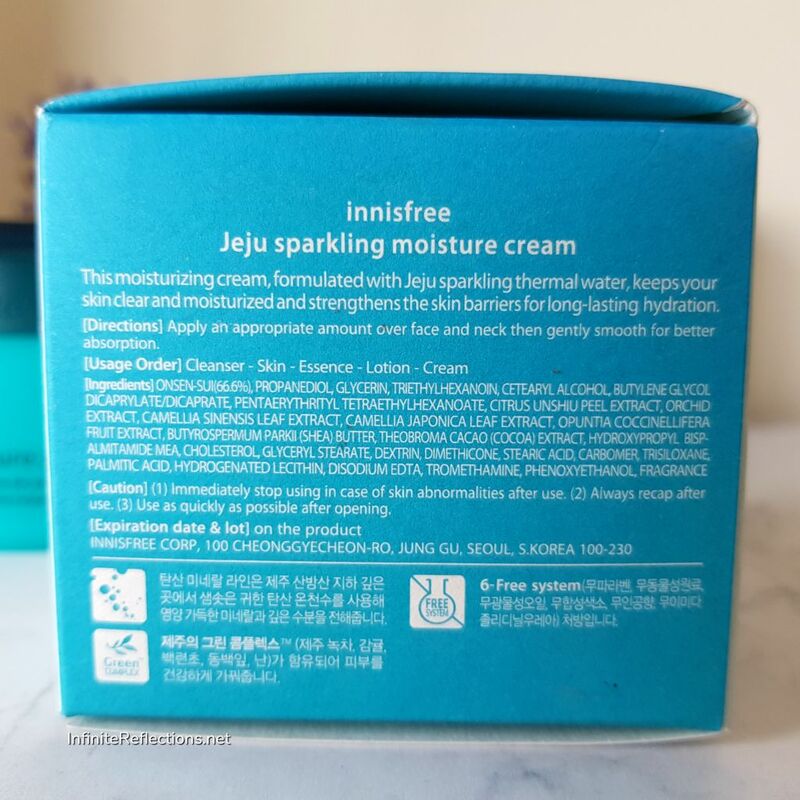 I love to try Innisfree products and I am always excited to get something new from them and try it. I usually stick to a skincare routine using the same products for a period of time so that I know how the products are working out for me. I switch out a product only if I am bored of it or I have used it up. In this case, I am on the verge of using it up. What it is? 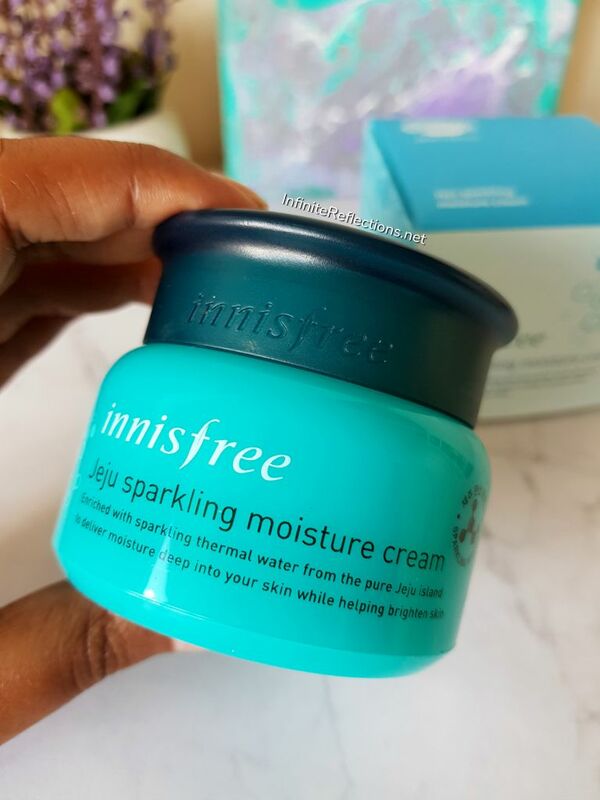 The Innisfree Jeju Sparkling Moisture Cream is a moisturizing cream, formulated with Jeju sparkling thermal water which keeps the skin clear and moisturized and strengthens the skin barriers for long-lasting hydration. What are the claims? It claims to provide long lasting hydration by protecting the skin’s moisture barrier. These are points made on their official website. Contains 66.6% sparkling mineral water – High carbonic acid concentration and nourishing minerals in sparkling water derived from Jeju’s Sanbang Mountain provide deep hydration. Cream that strengthens the moisture barrier – Ceramide strengthens the skin’s moisture barrier and forms a protective film to help retain moisture inside the skin. Deep hydration – Smooth cream texture glides on the skin and helps prevent loss of moisture to keep the skin hydrated. 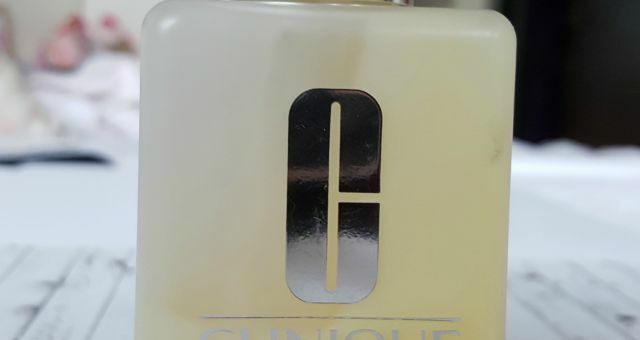 6-Free system – free from 6 harmful additives such as parabens, animal ingredients, mineral oil, colorants, synthetic fragrances and imidazolidinyl urea. Where I bought this? I bought this from the Innisfree store here in Singapore, that is where I usually buy Innisfree products. How much it costs? 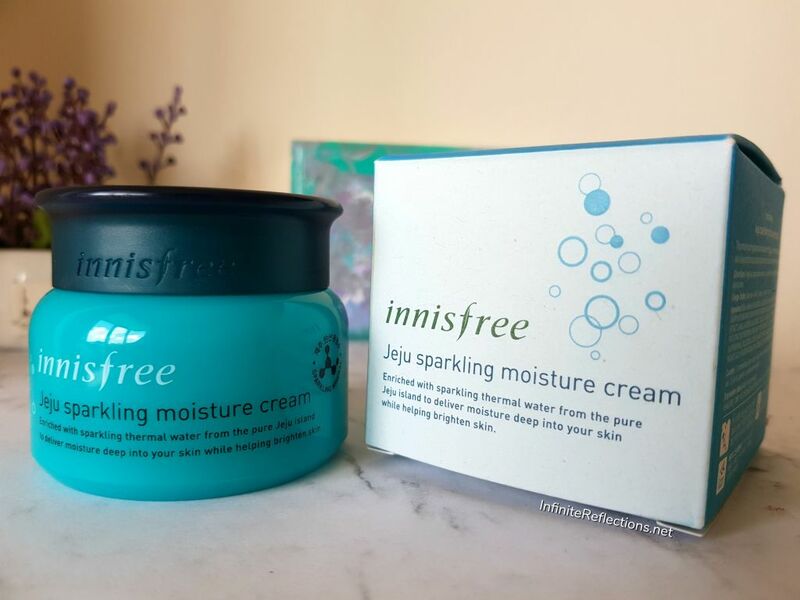 The Innisfree Jeju Sparkling Moisture Cream comes in one size of 50 ml jar and it retails for SGD 40. 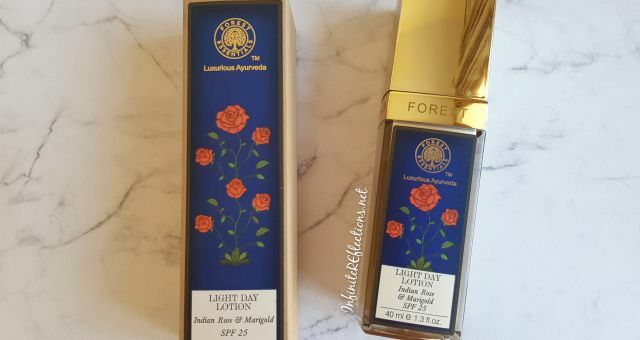 For the amount of product which we are getting, it feels an expensive product to me but it lasted me a good 3 months having used it almost daily. How did I use it? I used this cream as a day cream. After cleansing my face in the morning with light face wash, I would apply this cream over a serum or by itself. How was my experience? I like this product a lot. 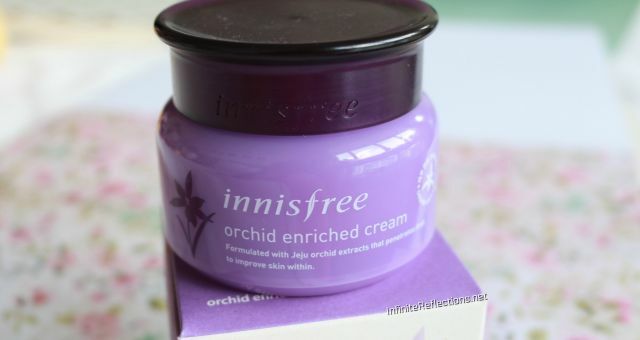 The last cream I tried from Innisfree was the Orchid Enriched Cream, which was a bit heavy for my liking for day time use. 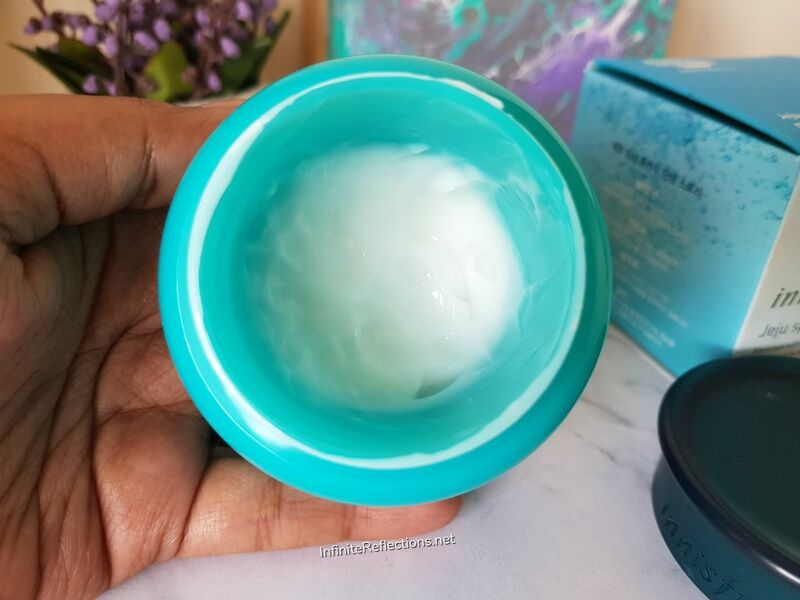 This cream is not heavy on the skin yet it is really hydrating and moisturising. The cream has a very light texture and when applied it absorbs really nicely into the skin. It doesn’t feel heavy or sticky at all on my normal to dry skin. The hydration lasts for long hours without the skin feeling greasy. It also claims to brighten the skin and I agree to a certain extent. I have clear skin without many problems, so if my skin is well hydrated then it automatically looks bright, fresh and youthful. But, I am not sure how much brightening effect it will have on problematic skin. The cream doesn’t state any other special ingredient which might help in skin brightening, other than the hydration factor. The product is very mildly scented, with a very fresh citrus-y scent which is not very floral or fruity. I think most people will find this scent very pleasant, although it doesn’t linger for long. I also really like the packaging of these creams from Innisfree as they are really compact, travel friendly and come in fun soothing colours. Also, an important factor is that Innisfree products have the 6-Free system, i.e. they are free from the six harmful additives such as parabens, mineral oils etc. So, overall I have really enjoyed using this cream as a day cream and I would repurchase this without much deliberation. Would I recommend it? I will recommend this cream if you are looking for a hydrating day cream. I think this product will suit most skin types but I will specially recommend this product if you have normal to dry skin. That’s all for this post. Hope it was helpful and do let me know if you have tried this.